When you want an iconic hatchback, it’s hard to beat the FIAT 500. The Chevrolet Sonic is another commonly-chosen hatch; however, we think that you’ll find the FIAT 500 gives you so much more. Compare the 2016 FIAT 500 Pop with the 2016 Chevrolet Sonic LT Hatch here at FIAT of Tacoma; then, come in for a test drive! In terms of design, the Sonic is certainly attractive–however, it has nothing on the FIAT 500. The 500 takes design cues from classic European cars and applies them to create a modern vehicle with a timeless design. 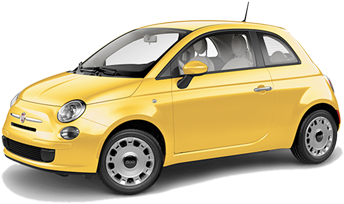 In addition, the 2016 FIAT 500 Pop is better for navigating tight city streets and alleyways: it measures 139.6″ long, 64.1″ wide, and 59.8″ high, whereas the Sonic measures 159″ long, 68.3″ wide, and 59.7″ high. 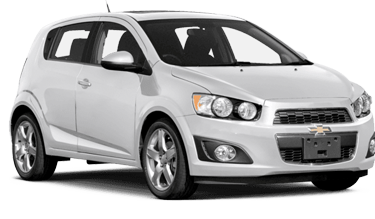 The 2016 Chevrolet Sonic may have an engine that’s more powerful (although the Sonic also has a heavier curb weight than the 500 Pop: the 500 Pop weighs 2,366 pounds whereas the Sonic weighs 2,726 pounds). However, when you’re looking for efficiency, it’s hard to beat the 2016 FIAT 500 Pop, which gets 31 miles per gallon in the city and an impressive 40 miles per gallon on the highway! The 2016 Chevrolet Sonic LT Hatch with manual transmission, on the other hand, only gets 26 miles per gallon in the city and 35 on the highway. When you’re looking for a vehicle, safety is important–and the 2016 FIAT 500 Pop has plenty of safety features. The steel cage construction and state-of-the-art airbags help protect you in case of an accident. Of course, the safest accident is the one that doesn’t happen at all–and that’s where the four-wheel disc antilock brake system on the 2016 FIAT 500 Pop comes into play. The Sonic LT Hatch, on the other hand, has front disc brakes and rear drum brakes, giving FIAT the edge yet again. Here at FIAT of Tacoma, serving Bellevue and Renton, we’re proud to present you with the latest and best new FIAT models. Our lot is filled with new FIAT vehicles–not to mention new Alfa Romeo vehicle and high-quality pre-owned vehicles. We have frequently updated special offers so that you always get the greatest price. Feel free to look around our selection of FIAT vehicles and see how they compare to vehicles from other manufacturers. When you’re ready for a test drive, head on in to FIAT of Tacoma, serving Federal Way and Auburn.